At “Auto China 2018” in Beijing, Mercedes-Benz is presenting the Vision Mercedes-Maybach Ultimate Luxury. The design of the crossover, based on an exclusive high-end sedan and an SUV, follows the design philosophy of Sensual Purity. The show-car combines the comfort and typical strengths of both body styles. These include the raised seating position and the athletic looks. 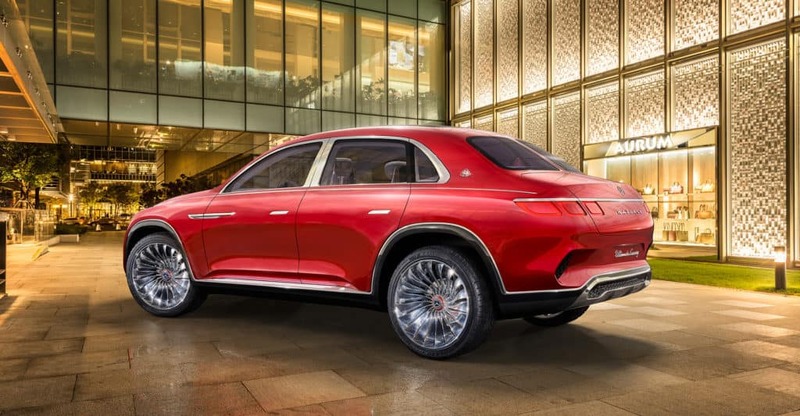 The Vision Mercedes-Maybach Ultimate Luxury is conceived as an electric vehicle with four compact permanent-magnet synchronous motors and fully variable all-wheel drive. Spaciousness and comfort, in combination with a raised seating position, elegant design and the finest materials give the Vision Mercedes-Maybach Ultimate Luxury rise to an unparalleled experience. The vehicle truly exhibits the Mercedes-Maybach values of traditional craftsmanship, uniqueness and individualization. Smooth, extravagant surfaces with no beads or sharp edges create an image of sporty elegance, giving the Vision Mercedes-Maybach Ultimate Luxury a majestic look. With its balanced proportions, the vehicle has tremendous presence. The front end is accentuated by the distinctive chrome-plated radiator grille with its fine vertical bars in the style of a pinstripe suit. 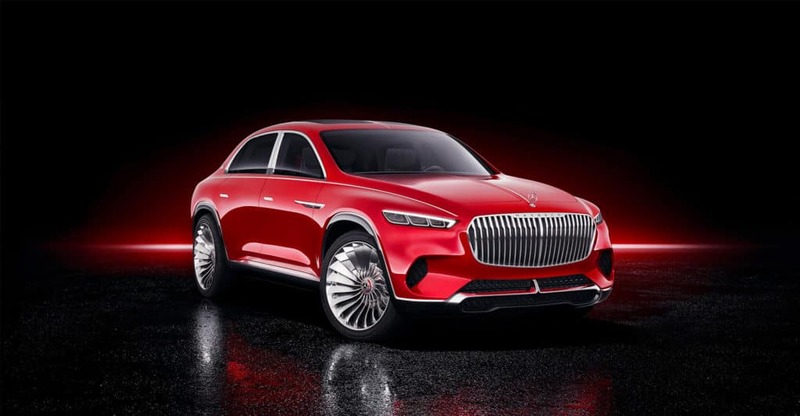 The new grille design celebrated its world premiere in the Vision Mercedes-Maybach 6, the exclusive coupe concept car that delighted aficionados and fans of the brand in 2016. It also inspired the latest reinterpretation for the Mercedes-Maybach S‑Class. In combination with the low-profile front headlamps with three lamp units, the grille dominates the front view of the vehicle while emphasizing its brand affiliation. The large air inlets along with the horizontal air inlet with integral chrome blades underline the sportiness of the SUV sedan while lending it a dynamic look. The air inlets are crossed by the brand’s typical honeycomb pattern. A continuous trim strip extends from the split hood across the roof through to the rear end. Unlike a conventional sedan, the Vision Mercedes-Maybach Ultimate Luxury offers a significantly higher, SUV-like seating position and therefore an unrivalled driving experience. This addresses the desire of many customers for a feeling of protection and security – a challenge for the designers. Ultimately, the task was to harmoniously translate the familiar three-box design of hood, passenger compartment and trunk to an SUV-like architecture. This produced an interesting dynamic between the poles of sportiness and Mercedes-Maybach luxury. The upright C-pillar, the long, gently forward-sloping hood, and compact notchback dominate the sporty but elegant side view. The muscular volume of the flank is accentuated by a long wheelbase and short rear overhangs. The overall appearance is rounded off by 24‑inch turbine-look wheels. At the rear end, the three-part lamps are reminiscent of the design of the front headlamps. Situated above them is the vertically split rear window. Another striking feature is the modelled underride guard with diffuser look. It, too, is permeated by the Maybach pattern from the front end. 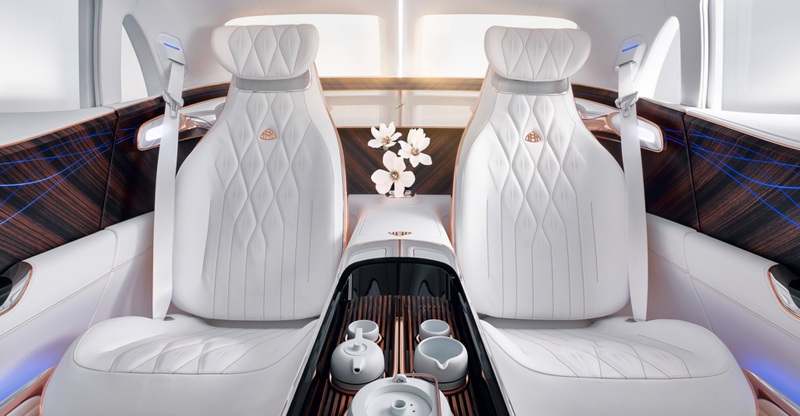 The interior of the Vision Mercedes-Maybach Ultimate Luxury features an exciting contrast between high-level sportiness and luxurious spaciousness. This show car is the ultimate embodiment of a luxury dream automobile. The goal of the interior designers was to echo the sentiment of the series-produced vehicles of the past whilst transporting them into an unprecedented world of luxury. They created a symbiosis of sportiness, modernity and elegance, giving an idea of coming generations of Mercedes-Maybach models. Exclusive materials with high-grade highlights exude exquisite quality in the interior, thereby underlining the vehicle’s superlative luxury. The generous feeling of spaciousness, together with the high-contrast colour compositions, make for a hitherto unattained luxury experience. The colours employed are typical of the brand, such as rosé gold, crystal white and pearl grey. Flowing forms, delicate fabrics and aluminum parts create an exciting contrast between the sportily elegant details of an SUV and the lightness of a sedan. The driver’s area and cockpit are reduced to the essentials. Air vents, which reflect the design of the radiator grille, surround the free-standing Widescreen Cockpit with double 12.3‑inch displays. The feeling of spaciousness is further enhanced by a light, contrasting bottom part of the instrument panel as well as by the reduced height of the dashboard. Overall, the interior creates an atmosphere of luxurious cosiness that allows the occupants to relax. To emphasize the visual lightness, the rose gold frame of the front seats is open and exposes the white leather to view. The colour/material scheme celebrates the superlative luxury of the Vision Mercedes-Maybach with exquisite materials and breathtaking surfaces. The luxurious lightness of the interior is emphasized by the colours crystal white, finest nappa leather and a sensual shade of brown that features a light metallic finish on the instrument panel. Gleaming surfaces in polished aluminum generate exciting reflections while mirroring the highlight: the rose gold-coated seats. The claim to the ultimate in luxury goes hand-in-hand with extreme technical challenges. For instance, the intense Mercedes-Maybach signature red metallic finish is applied by expert hand in several coats. Tradition and modernity are reflected in the form of appealing contrasts. The entire interior is surrounded by a large-area trim level. Dark ebony forms an exciting contrast with the surrounding areas of white leather. Wave-like, flowing lines of light are integrated flush into the wood surfaces, impressively uniting the analogue and digital worlds. The tailored seat upholstery layouts take up the lines of the trim while giving a reinterpretation to the typical diamond shape. The fine perforations are in rosé gold. Thought through down to the smallest detail, crafted with love and affection. Similar to the Mercedes-Maybach S-Class, the especially comfortable seats impress with their adjustment kinematics. Unlike in a conventional sedan, the backrest is adjusted separately while the footwell and seat reference point remain unchanged. The cushion can be adjusted separately, while the seat angle and height adjustment are combined. Extra-soft knee cushions afford protection and comfort. The reclining seats feature a calf support, which is freely adjustable for length and angle. The crystal white nappa leather seats are enhanced by diamond stitching in rosé gold. Mercedes-Maybach 6 Coupé (Pebble Beach, 2016) and Vision Mercedes-Maybach 6 Cabriolet (Pebble Beach, 2017). Thanks to the global footprint of Mercedes-Benz Design, these concept vehicles take their cue from local trends in design, culture and mobility while making them the focal point of the respective mobility concept. Mercedes-Maybach stands for the ultimate in exclusivity and individuality. The target group includes customers who place value on exquisite luxury, perfect craftsmanship and exceptional appointments. The current vehicles include, launched in 2017, the Mercedes-Maybach S 560 4MATIC(combined fuel consumption: 9.3 l/100 km; combined CO2 emissions: 209 g/km). The absolute top-of-the range model from the luxury brand is the Pullman (combined fuel consumption: 14.6 l/100 km; combined CO2 emissions: 330 g/km) with vis-à-vis seating layout behind the partition. With a length of 6.50 metres, it is the longest model of the S‑Class family.